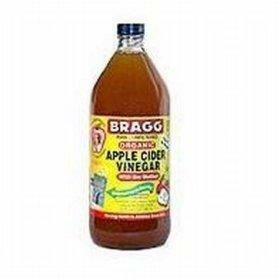 The best ACV contains mother of vinegar. Apple cider vinegar facts were well-known in 400 BC when Hippocrates used vinegar for medicinal purposes. Apple cider vinegar is made through the fermentation of apple juice. This fermentation is created by the natural chemical breakdown of aged apple juice, which converts the natural sugars of the apple into alcohol. During this initial fermentation, the juice becomes what's known as hard apple cider. If the cider is left alone, it'll go through a second fermentation process where microorganisms convert and breakdown the alcohol into acid with the end result being apple cider vinegar. The original nutrients found in apples are fortified by the acids and enzymes created during the fermentations processes and are what give the vinegar its medicinal and beneficial health properties. Commercial vinegar is typically pasteurized or distilled and many of the beneficial nutrients are filtered out of the end product. The best vinegar to purchase contains what's known as mother of vinegar. This is a gelatinous substance that is part of the natural fermentation process and is found only in organic vinegars. As you've probably surmised, organic vinegar has the most nutritional benefits. Hippocrates, founder of modern medicine, realized the medicinal value of apple cider vinegar and prescribed it as a healing agent. In addition, he concocted a tonic made from vinegar and honey that he believed provided a boost to the overall health of his patients. 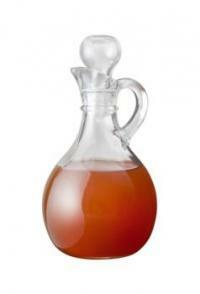 Vinegar can be used internally and externally for remedies and treatments of various illnesses and diseases. Aside from using the Hippocrates tonic, there are many health benefits associated with ingesting vinegar regularly. Vinegar and honey tonic is a good cold and cough remedy. Vinegar was used to fight against scurvy and even pneumonia. The external use of vinegar has many benefits. There are quite a few amazing stories about vinegar and its miraculous properties. Vinegar is an excellent household disinfectant and cleaner. Ten percent of American vinegar production is for mayonnaise and ketchup. The freezing point for most commercial vinegars is 28 degrees Fahrenheit. The boiling point for vinegar is 213 degrees Fahrenheit. Vinegar is an excellent pickling agent. Your can use apple cider vinegar for your pets as a flea and tick repellent. The military has a long history of using vinegar as a tonic to energize the troops. The Romans called the tonic, posca. An added medicinal benefit of vinegar tonics was the antiseptic properties it contained to fight off infectious diseases. Soldiers also used vinegar to clean and disinfect battle wounds. Apple cider vinegar was a mainstay for the Civil War doctors and field medics. There are countless stories of how the military used vinegar to cool down cannons during battle. Vinegar was also used on the heavy iron weapons to prevent rusting. In Medieval times, warriors used vinegar to clean their chain mail armor. Vinegar is renowned for its dissolving properties. A famous ancient story about this property took place in 40 BC, when Cleopatra set out to prove a point to her lover, Roman General Mark Anthony. During a banquet, Cleopatra demonstrated her wealth by dissolving a very rare and valuable pearl in vinegar. She then proceeded to drink the vinegar solution containing the residue of the dissolved pearl. The remedy, Four Thieves Vinegar, is said to have been created by four prisoners released from jail to assist in the removal of the bodies of plague victims. In the 1300s, there was no cure for the Black Death (Bubonic Plague) that was ravaging the world. However, these four thieves were credited with creating a tonic made by steeping garlic in vinegar. The legend claims that the men drank vast quantities of the tonic and as a result survived the plague. Most school kids have depended upon the chemical reaction of apple cider vinegar and baking soda to recreate an erupting volcano for science class. Researchers discovered that two tablespoons of apple cider vinegar at bedtime helped Type 2 diabetics reduce elevated blood glucose. In addition, apple cider vinegar is considered by many to burn fat and even acts as a natural appetite suppressant because of its astringent properties. The apple cider diet is resurrected every few years as people hope to control their weight by taking one to three teaspoons of apple cider vinegar before eating. Over the past years, many alternative health practitioners have advised clients to take apple cider vinegar to restore pH balance within their bodies. Because of its corrosive properties, vinegar should never be stored in any metallic container, such as copper, iron or lead. While you may think all glass containers are safe, this isn't true since lead glass would create poisonous vinegar. Whether or not you choose to use apple cider vinegar facts to improve your health, one thing is certain, the sour taste of vinegar makes an excellent flavoring for many foods.